Peter has a bachelor of Education Degree and has taught students from 8-18 years old with over 20 years teaching experience. In his playing days he played all his juniors and A-Grade career with the Goodwood Indians Baseball club along with spending time in country South Australia where he establish new junior programs, coaching many junior and senior state teams along the journey. 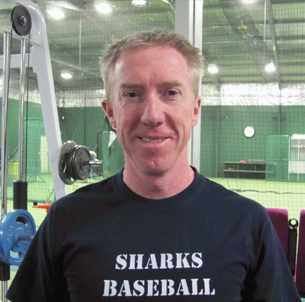 Peter established the Seaton High School Special Interest Baseball Program in 1994 and it remains one of the premier elite school sports programs in Australia. Peter is absolutely committed to making a difference to enable a person to maximise their talent and be the best they can be. This commitment and experience combined with outstanding training facilities enables our clients to the best training experience available.